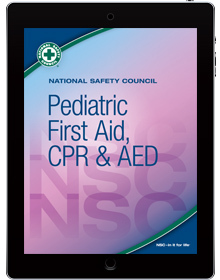 On completion of your NSC eBook purchase, we will contact you via email within 1 business day with download instructions. Student completion cards (hardcopy format) will be delivered after eBook access codes are purchased to the address on file. Whether it's a simple cut or bruise or a life-threatening emergency, no one wants to see a child hurt. Meets the special needs of infants and children in your care. On completion of your NSC eBook purchase, we will contact you via email within 1 business day with download instructions. Student completion cards (hardcopy format) will be delivered after eBook access codes are purchased to the address on file..